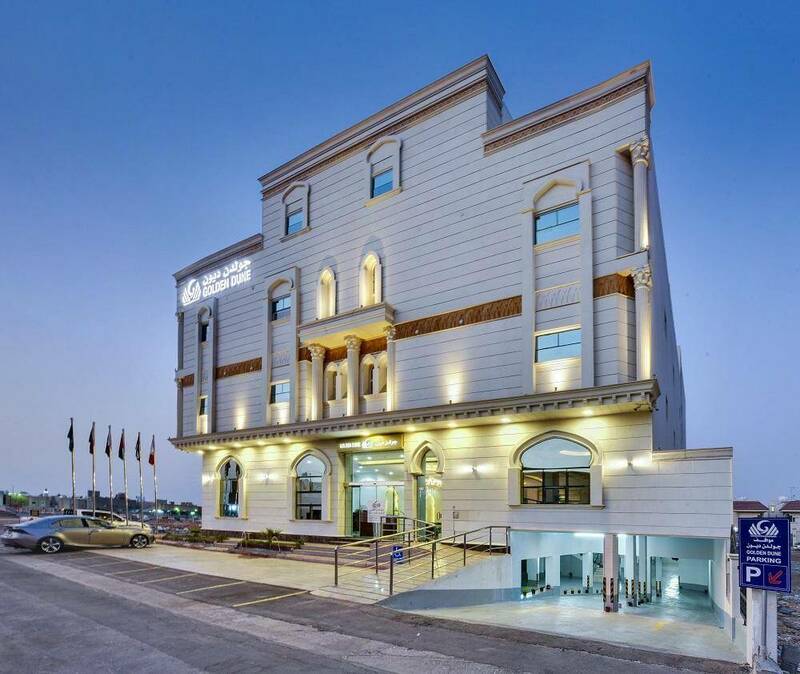 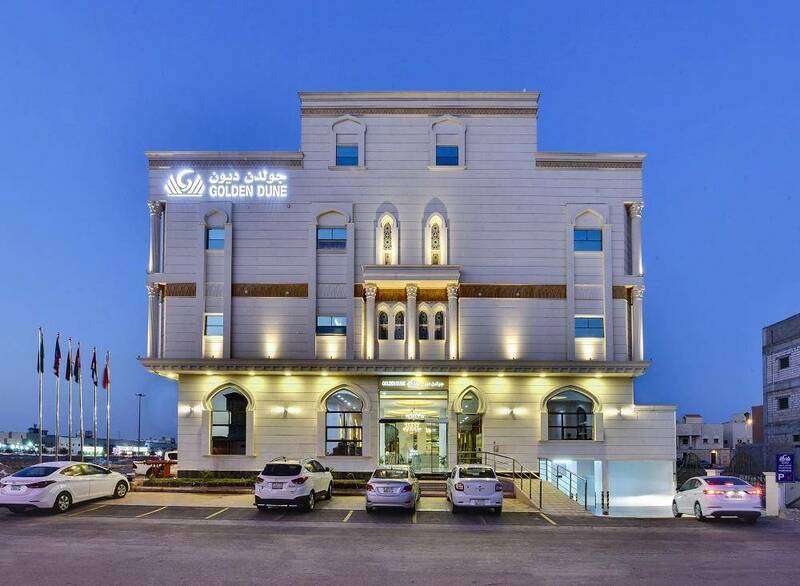 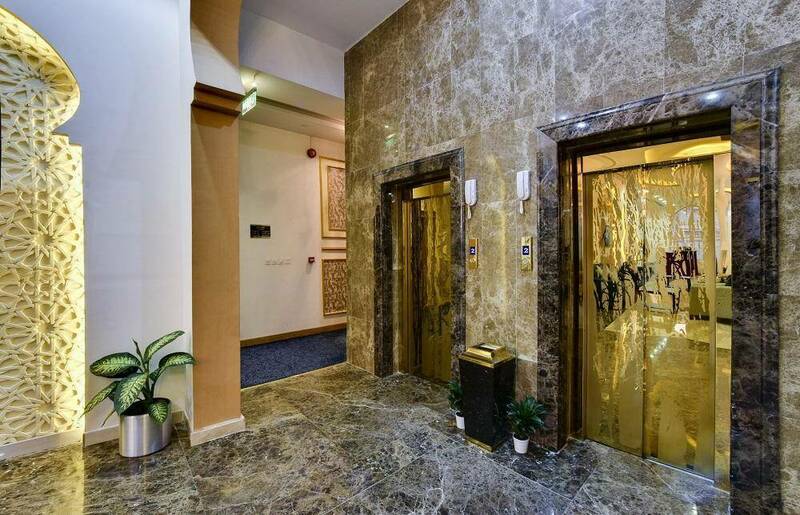 Golden Dune Hotel & Suites - Riyadh Al Fayha is located in Saud Al Uthman Street, Al Fayhaa, Prince Saad Ibn Abdulrahman Road, Riyadh. 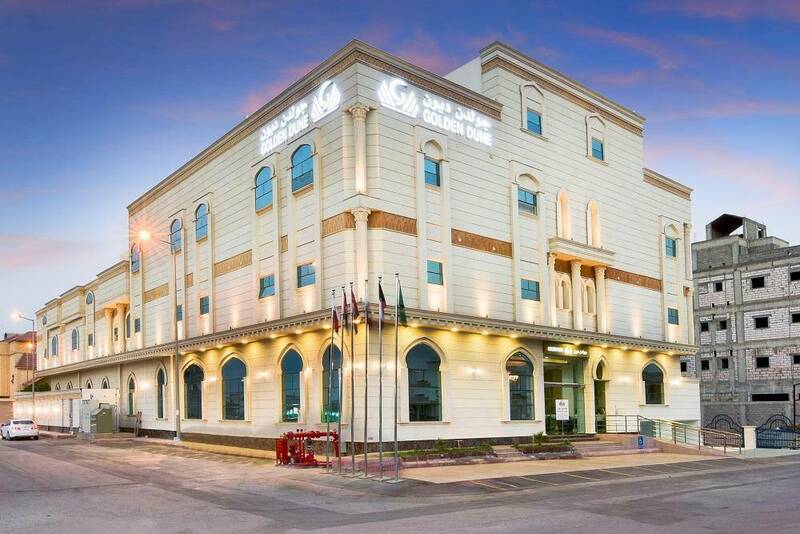 It is only 11 km away from Murabba Palace and from Imam Turki bin Abdullah Grand Mosque, and it is 32 km away from King Khaled Airport. 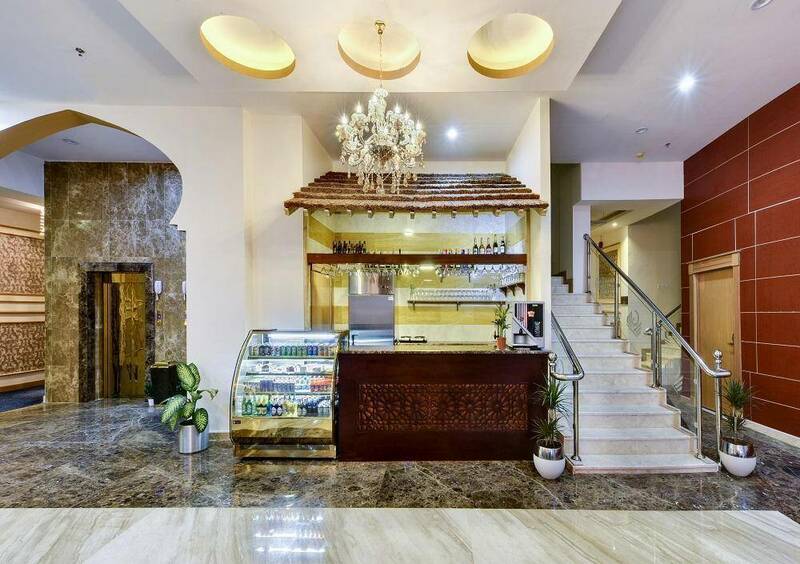 With its unique location, the hotel owns a wonderful design and comfortable and modern furniture. 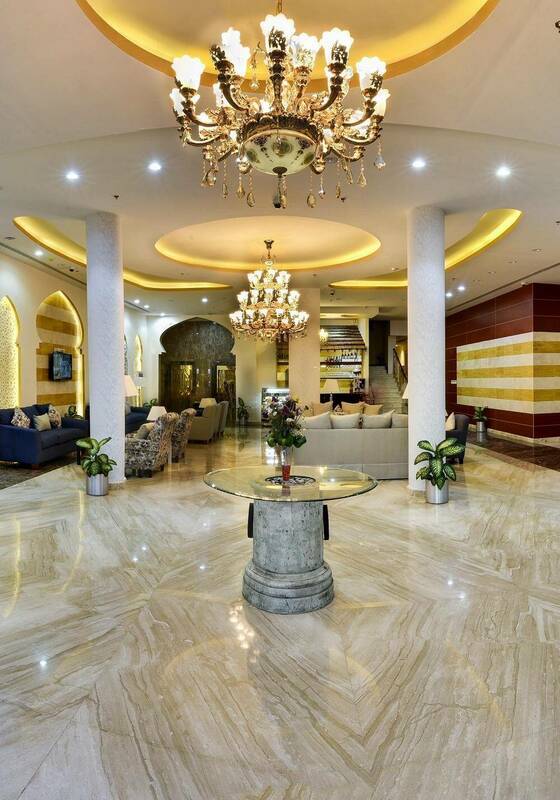 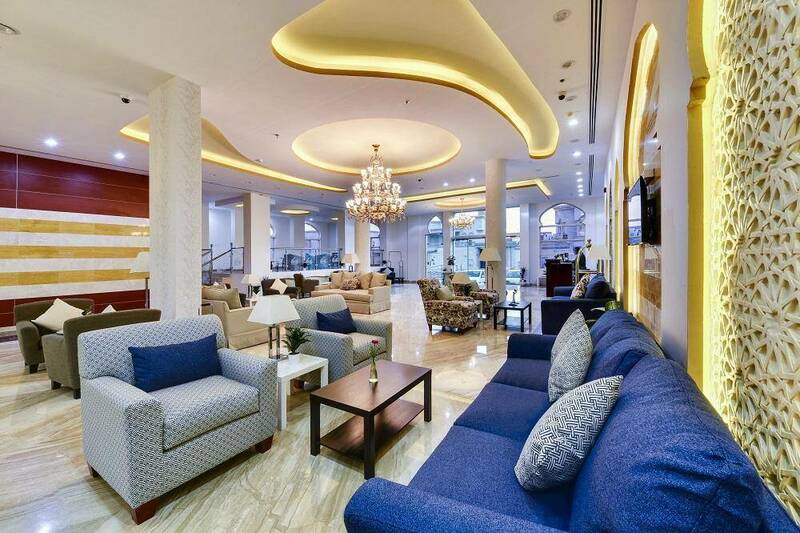 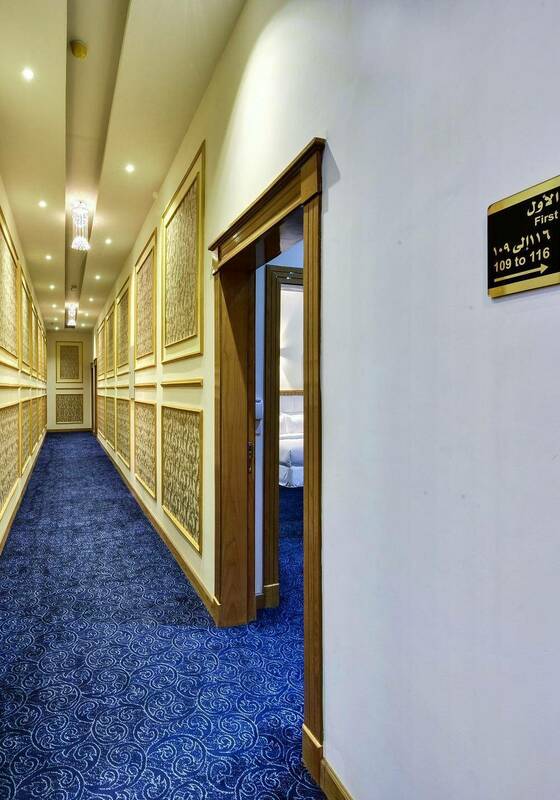 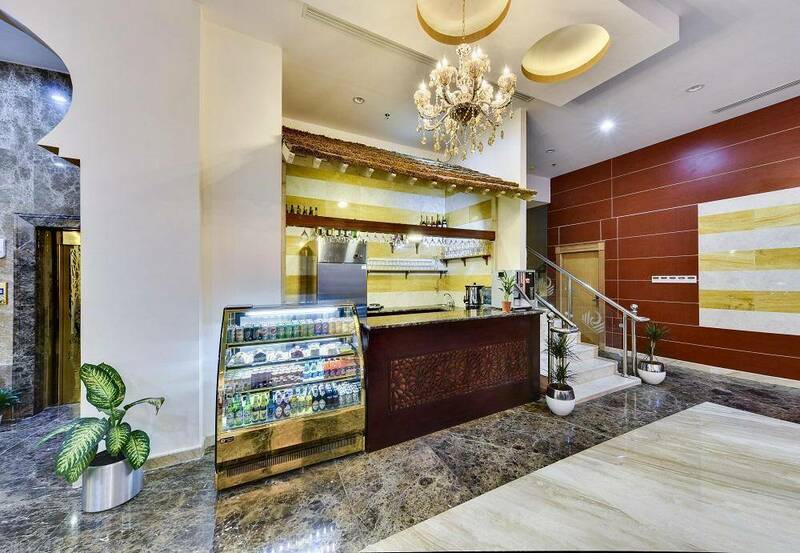 Golden Dune Hotel & Suites - Riyadh Al Fayha include a restaurant and a snack bar. 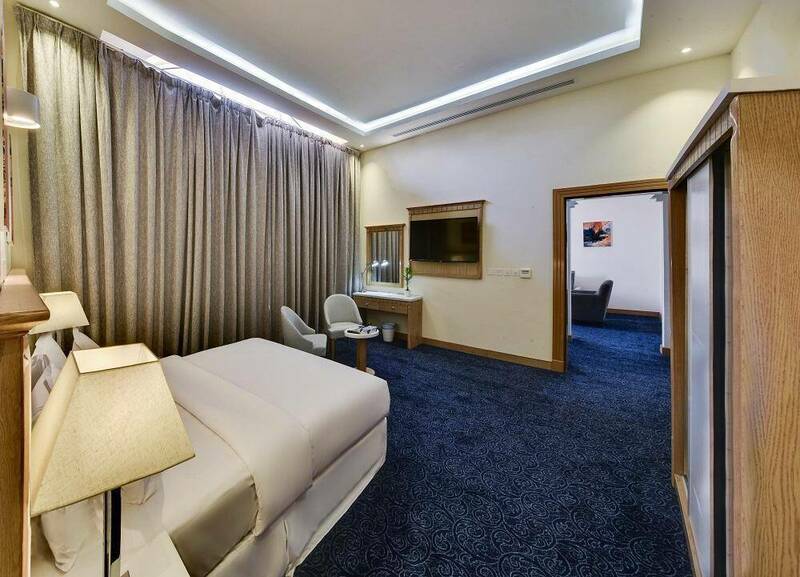 Enjoy discovering Riyadh City by visiting the important landmarks such as Sky Mall, Al Haram Center, Dawak Health Center, and Mayas International School. 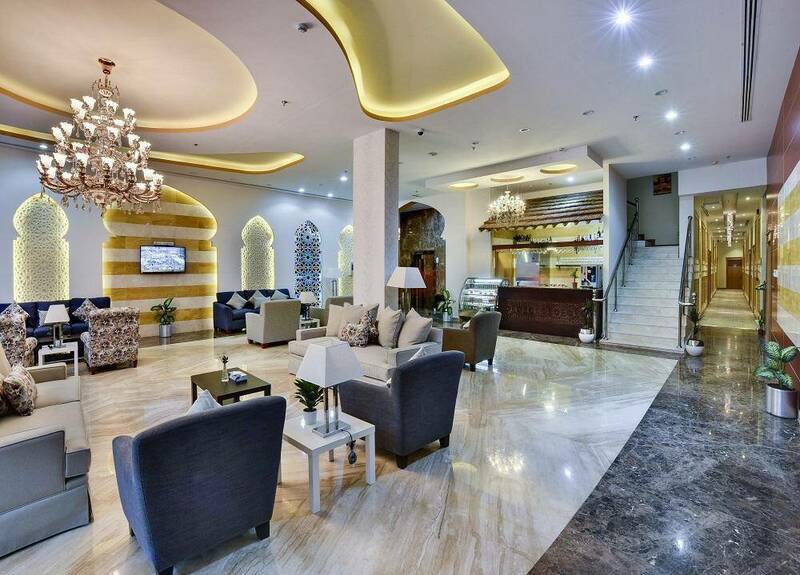 It offers free WiFi and Private Parking lot to enjoy your stay. 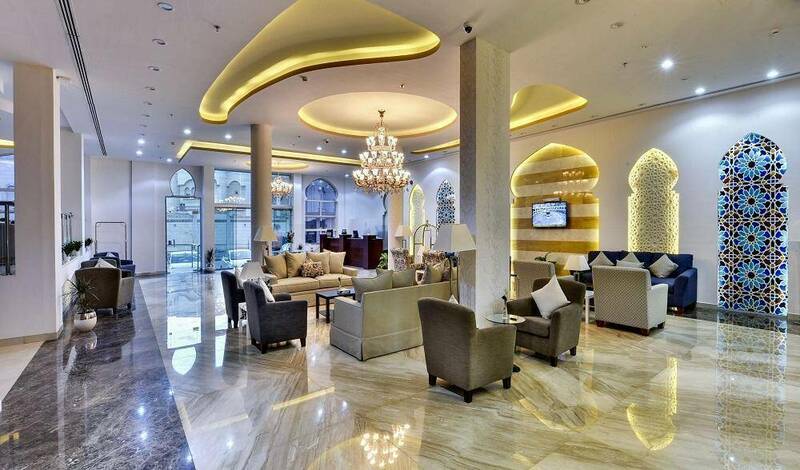 When would you like to stay at Golden Dune Hotel & Suites - Riyadh AlFayha? 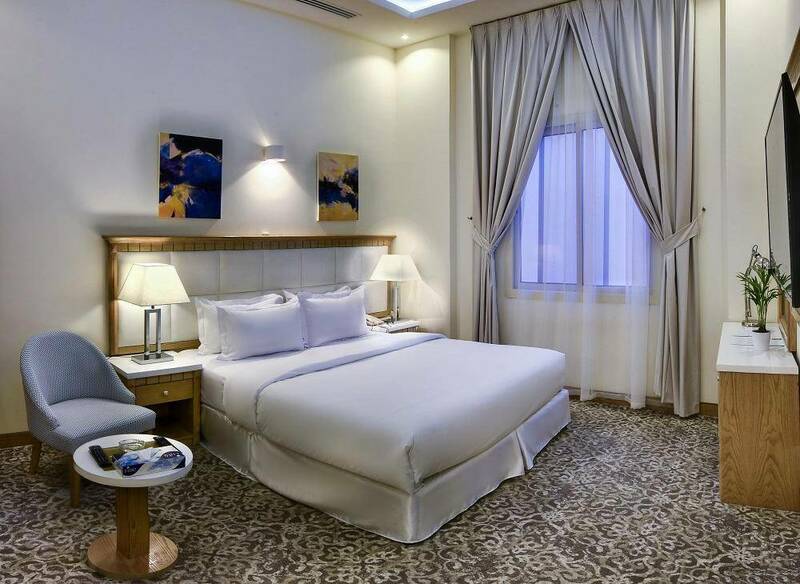 This suite offers one large double bed, seating area, sofa bed, mini bar, dining area, dining table, and private bathroom. 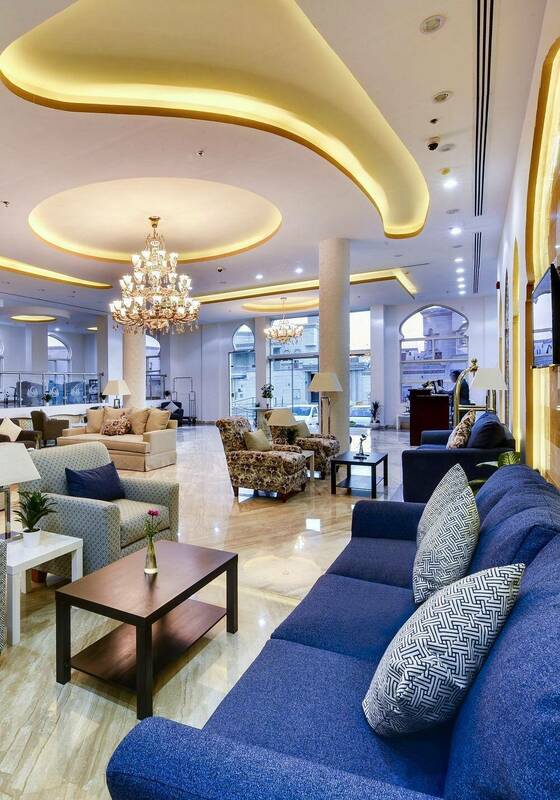 It has an executive lounge access to spend an elegant time. 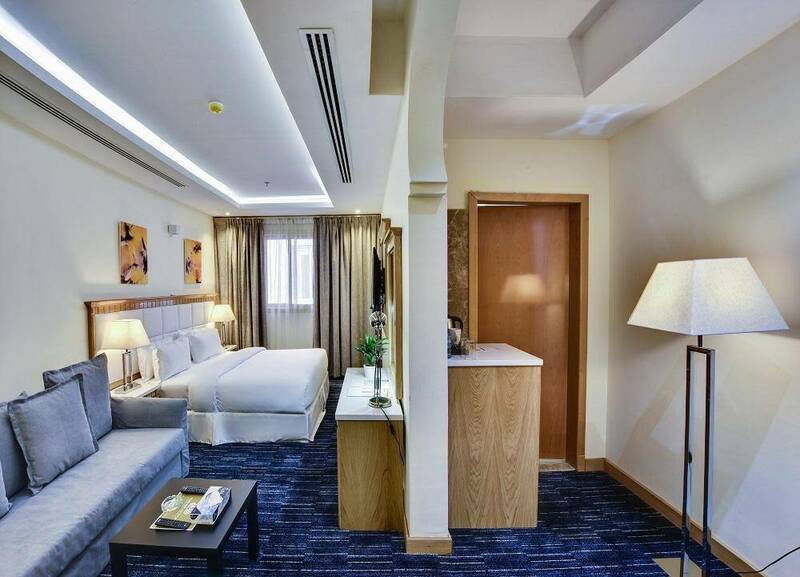 This suite offers one double bed, seating area, sofa bed, dining area, mini bar, and private bathroom. 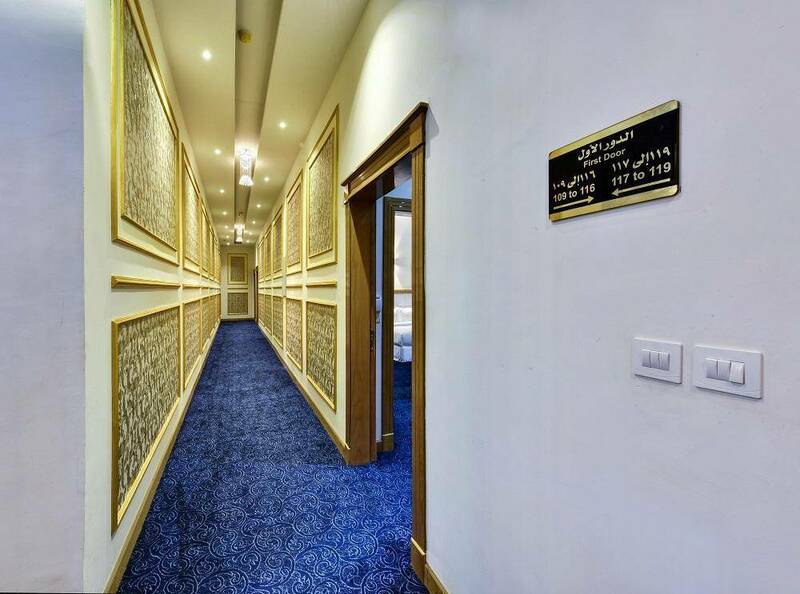 It has an executive lounge access to enjoy a wonderful stay. 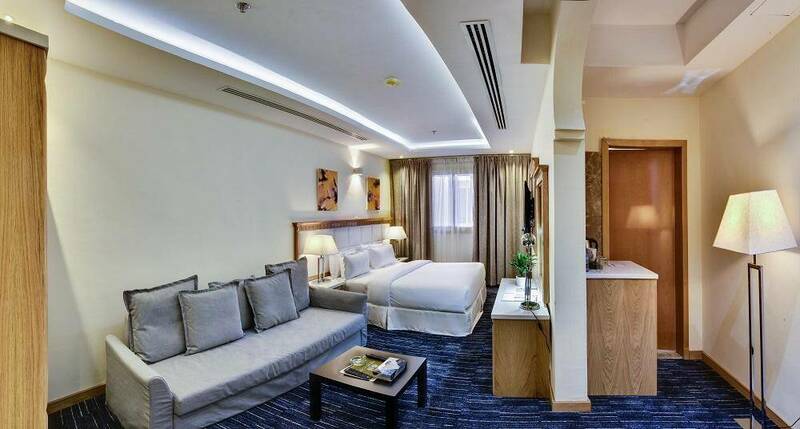 This suite offers one large double bed, seating area, sofa bed, dining area, dining table, mini bar, and private bathroom. 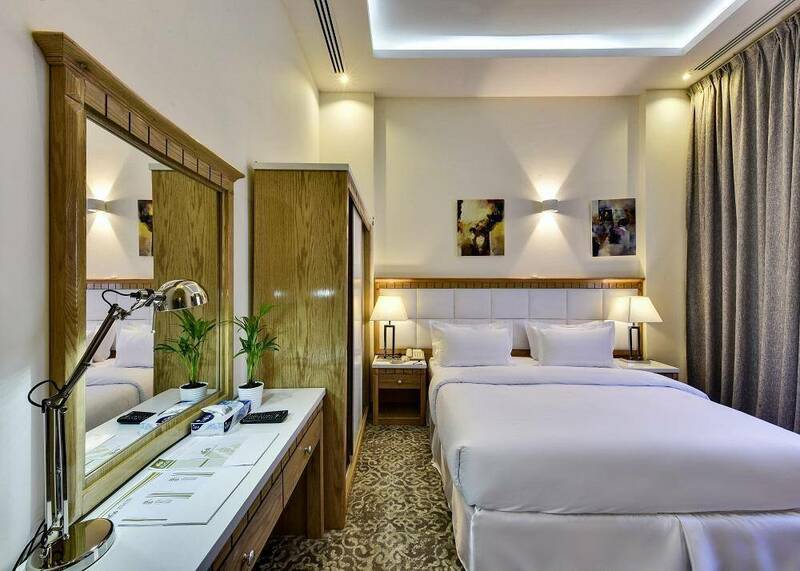 It has an executive lounge access to enjoy a pleasant stay. 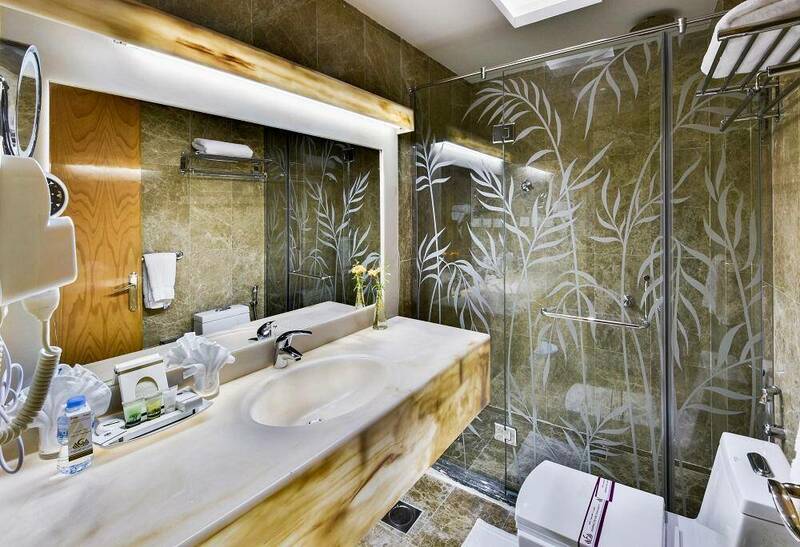 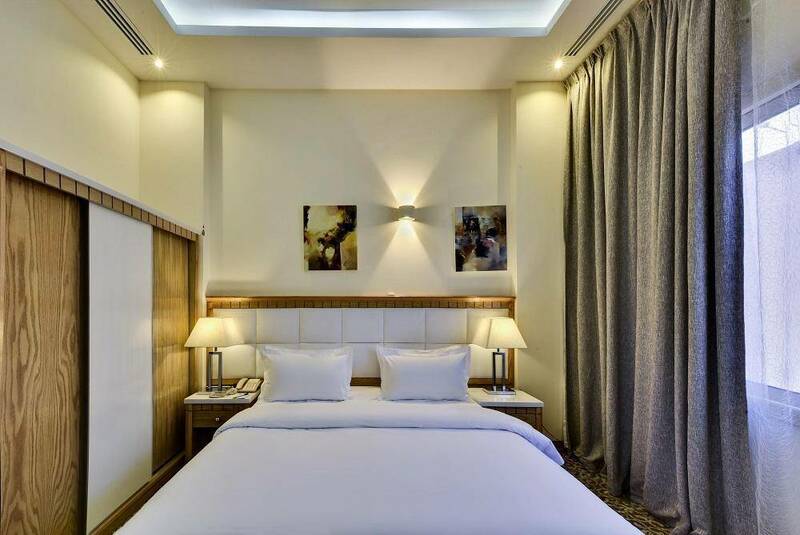 This room offers one large double bed, mini bar, and private bathroom. 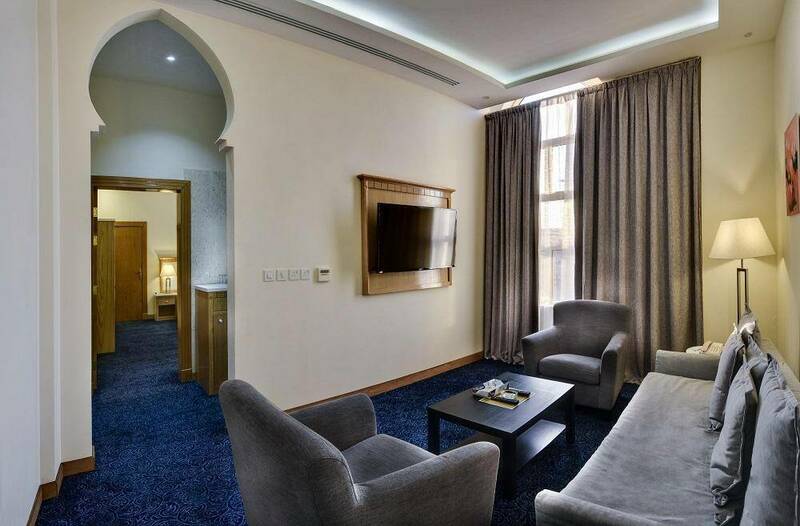 It has an executive lounge access to spend a convenient stay. 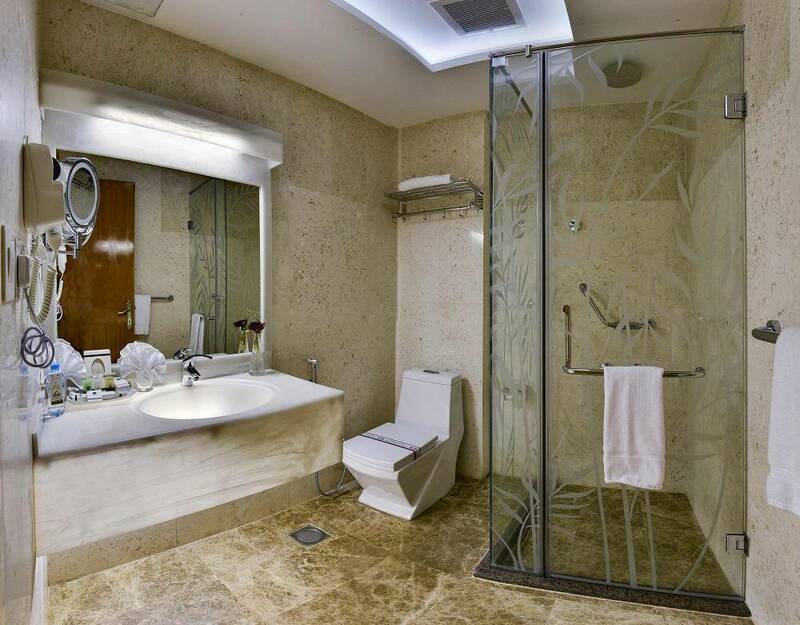 This room offers two double beds, mini bar, and private bathroom. 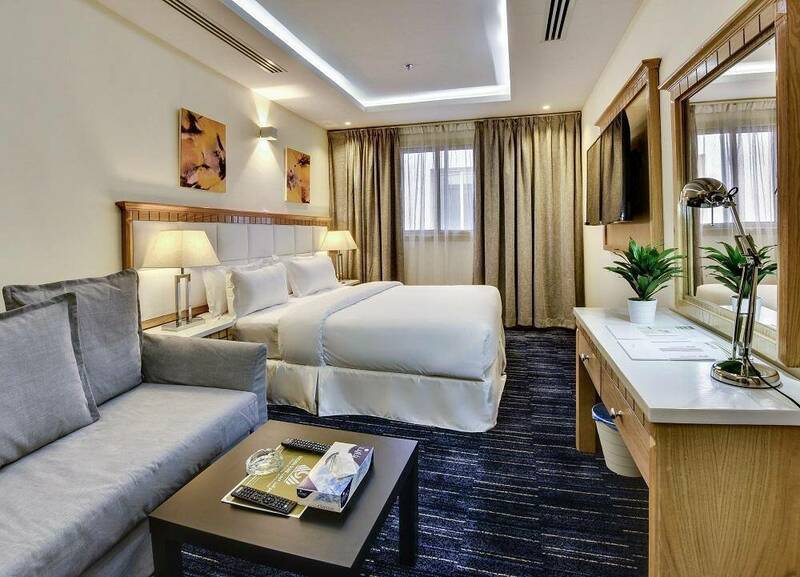 It has an executive lounge access to enjoy your stay. 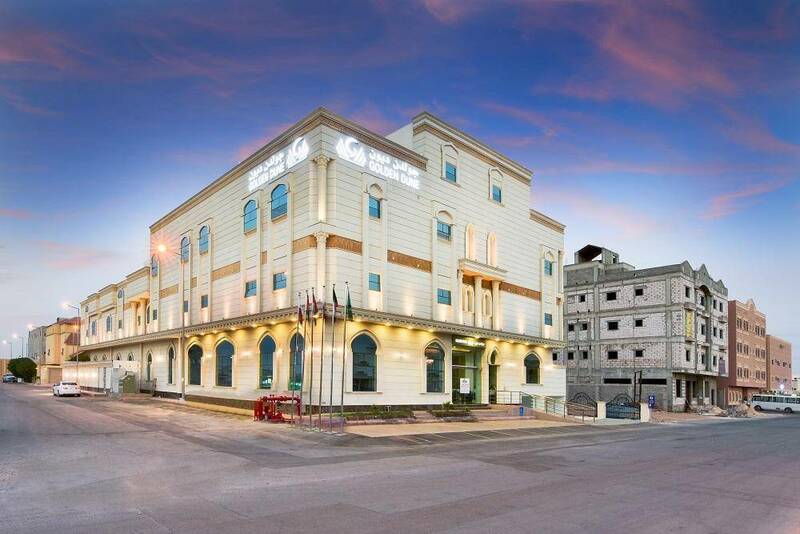 Golden Dune Hotel &amp; Suites - Riyadh Al Fayha contains a highly convenient units of eight types with total number of rooms and suites 79, fully equipped with all sort of services and amenities such as wardrobe, air conditioning, telephone, flat screen TV, a private bathroom fitted with a bath, and free toiletries. 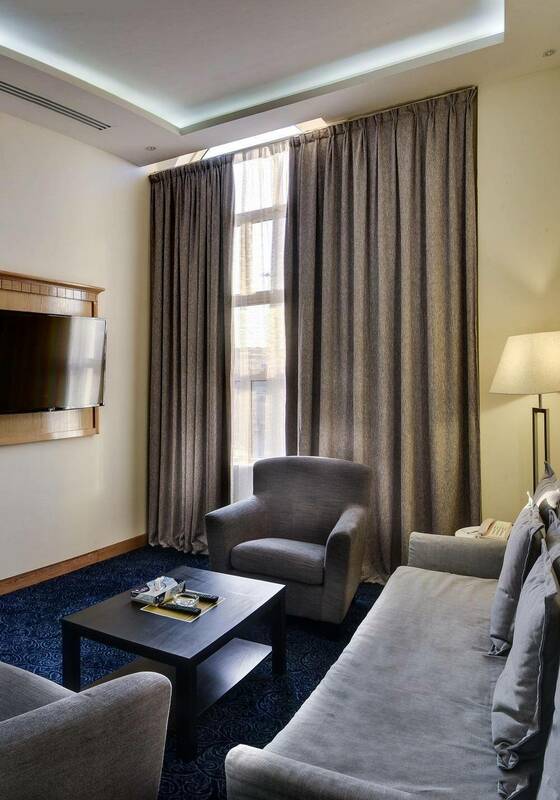 Some rooms include a seating area. 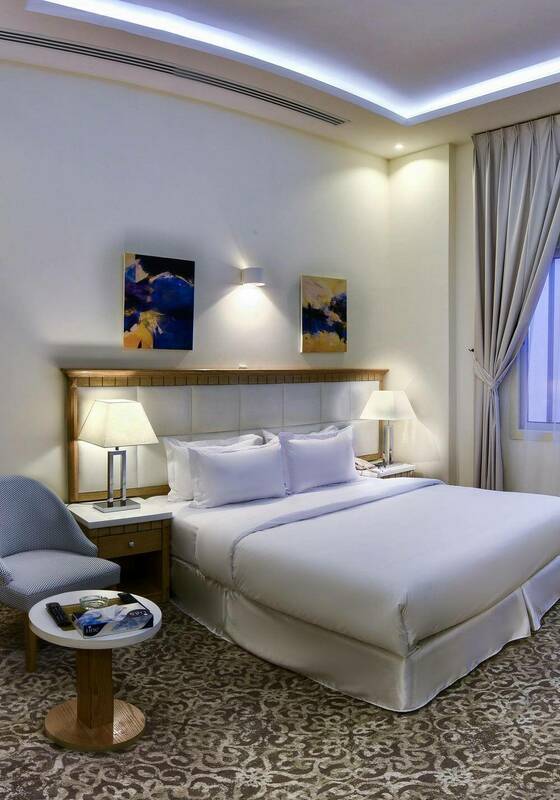 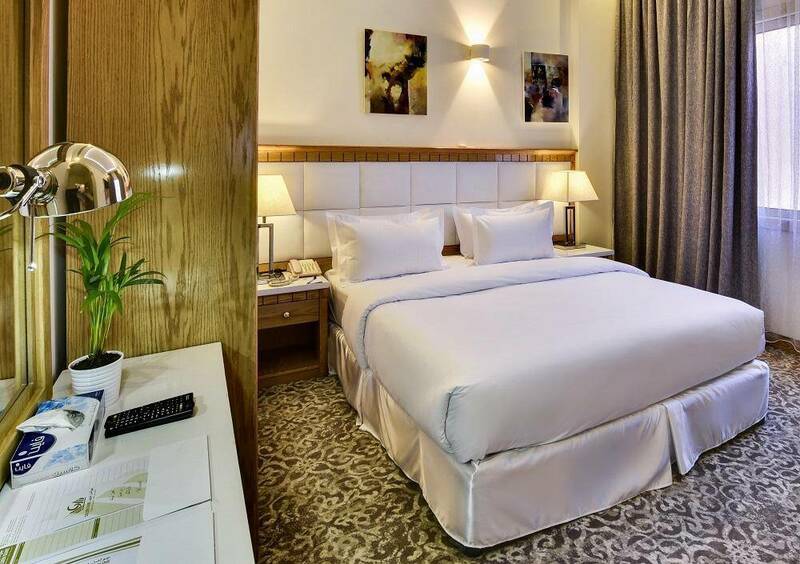 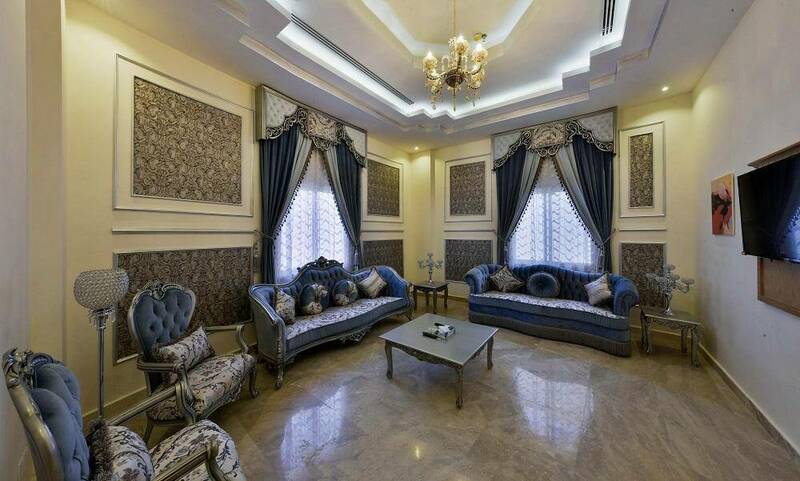 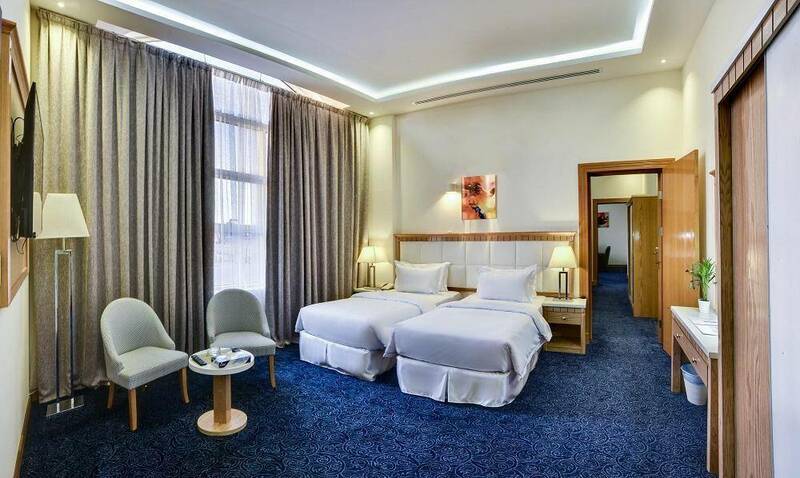 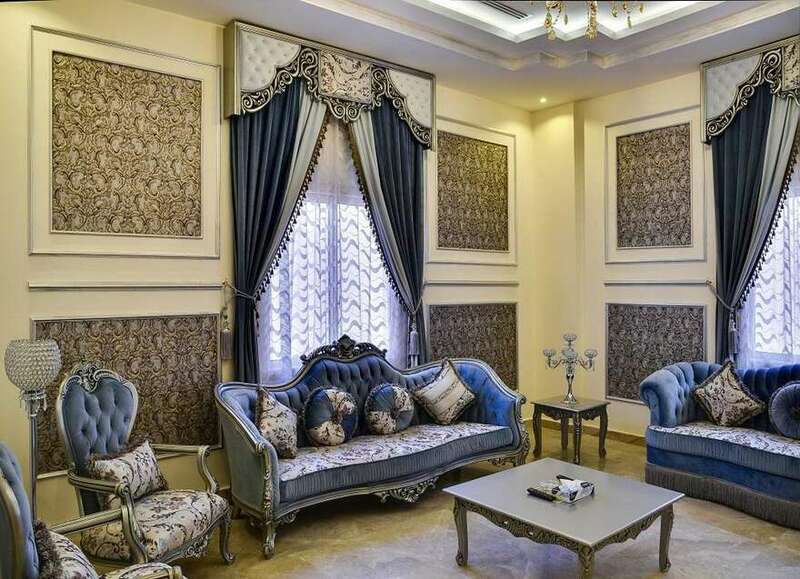 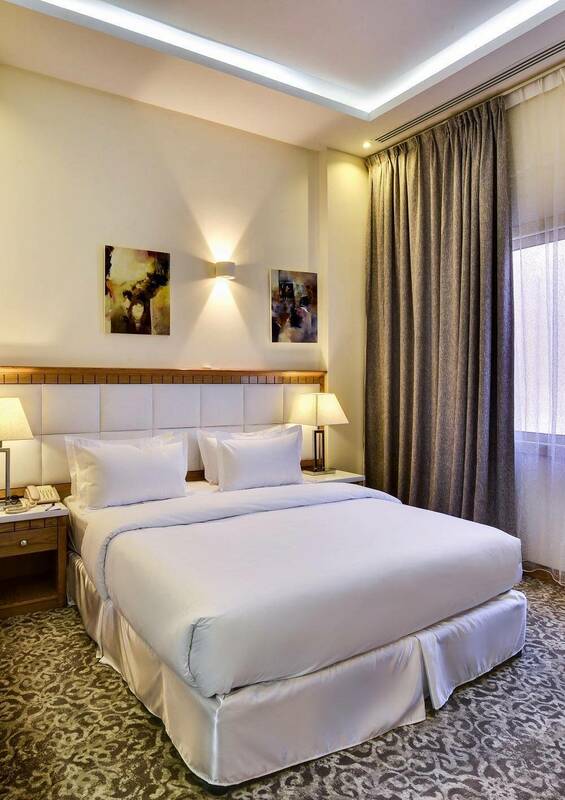 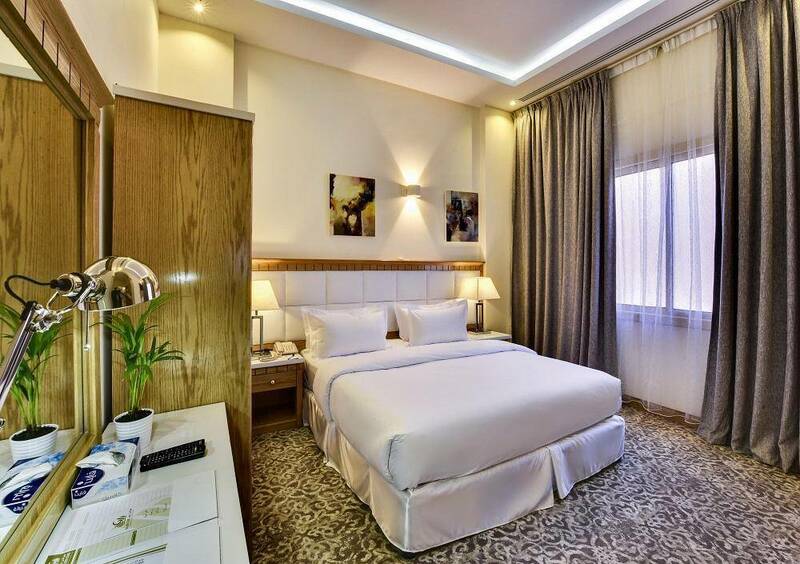 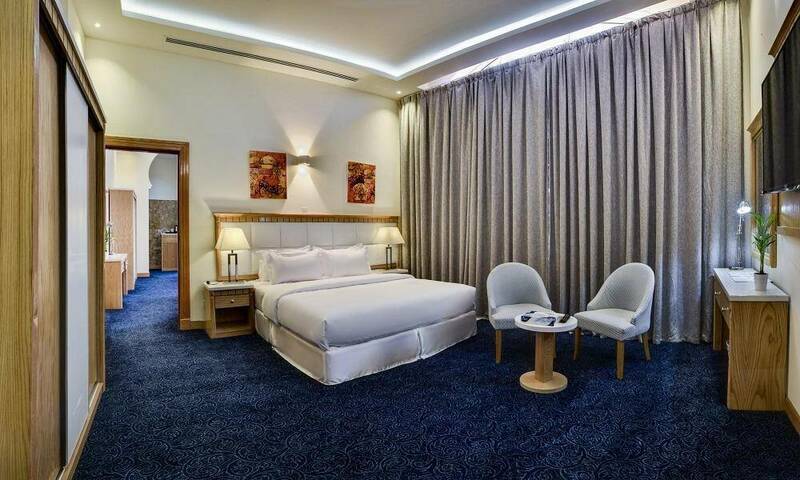 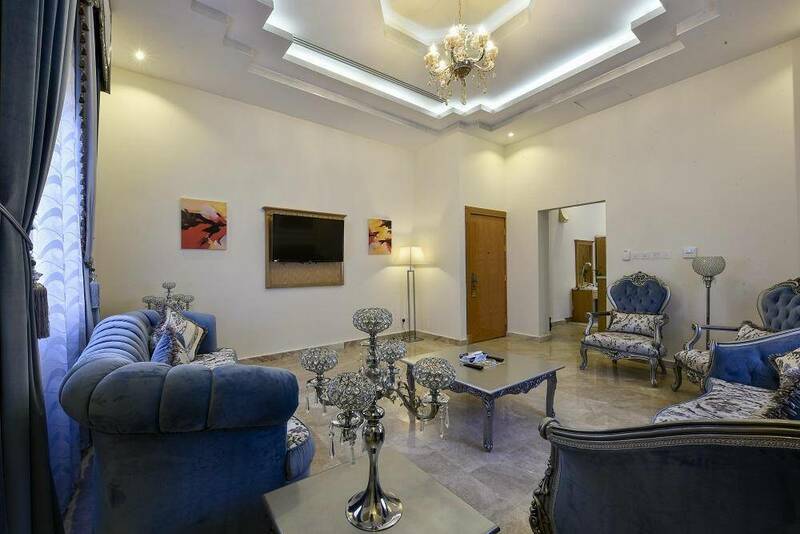 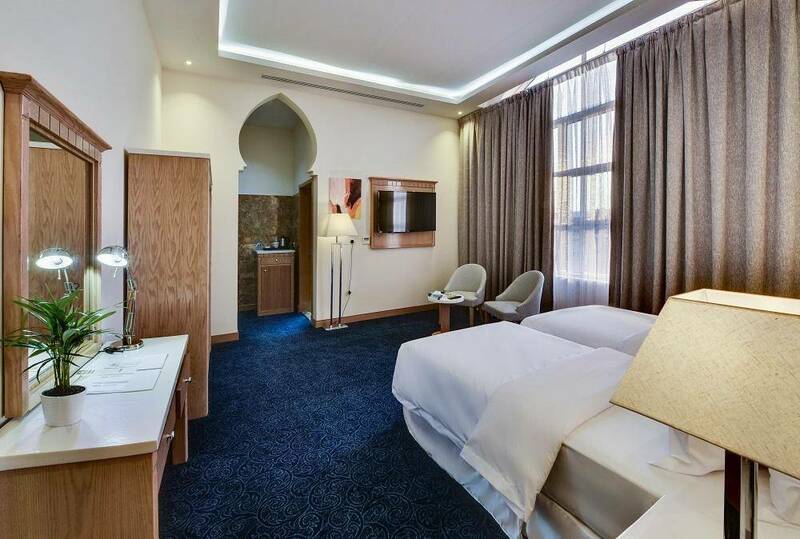 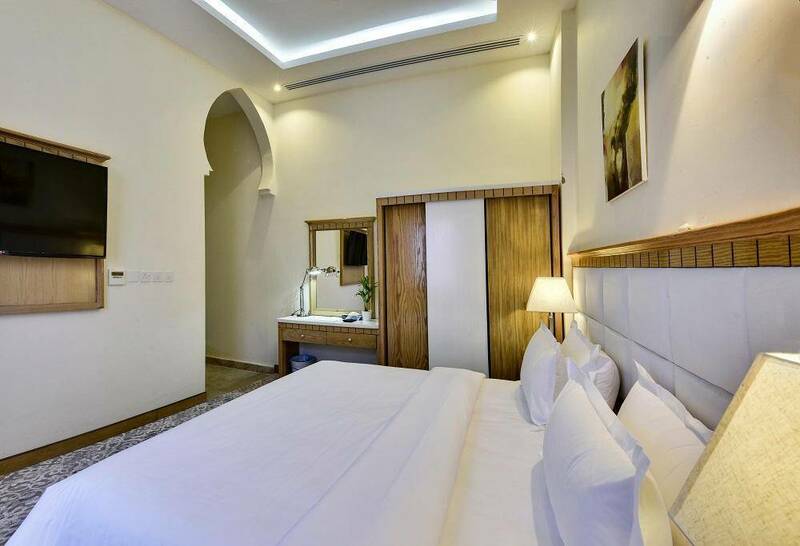 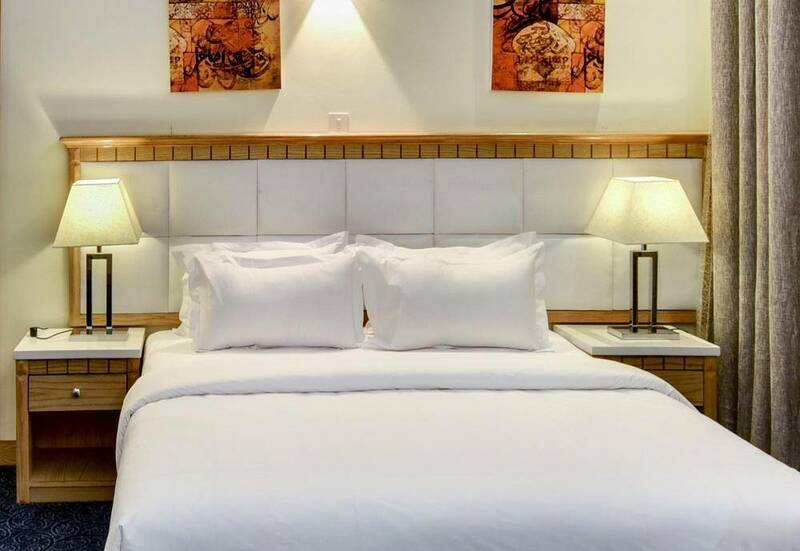 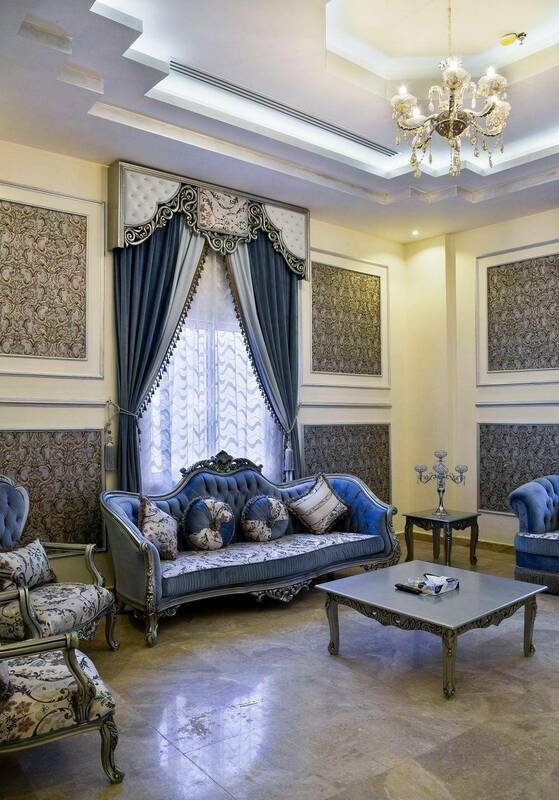 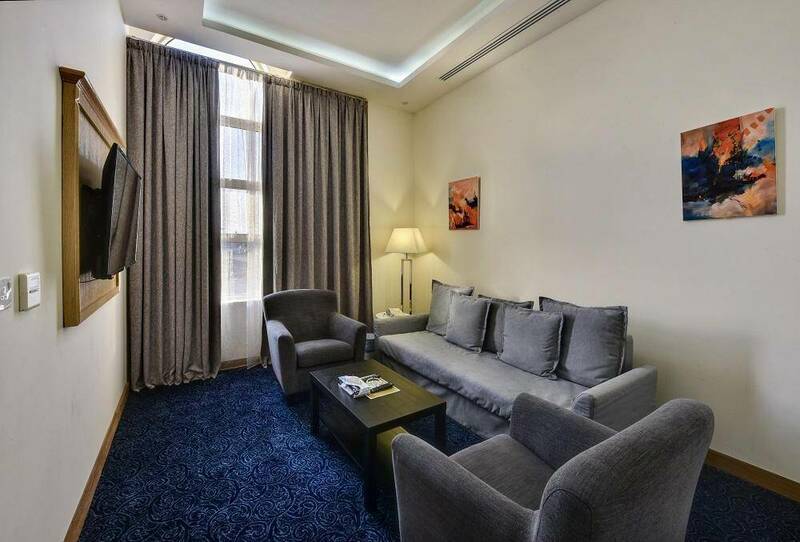 The units have several stunning decors with types and sizes include: Superior Double Room, Superior Twin Room, Executive King Room, Executive Suite, Executive Twin, Junior Suite, Presidential Suite, Studio Suite. 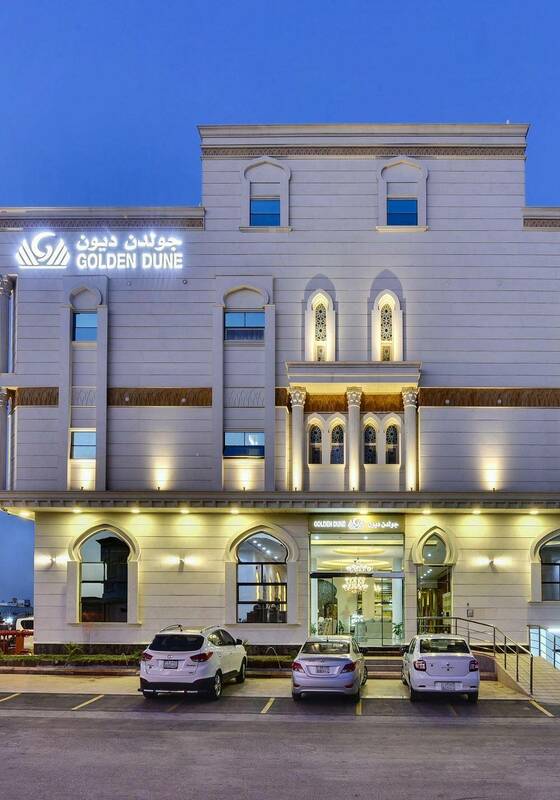 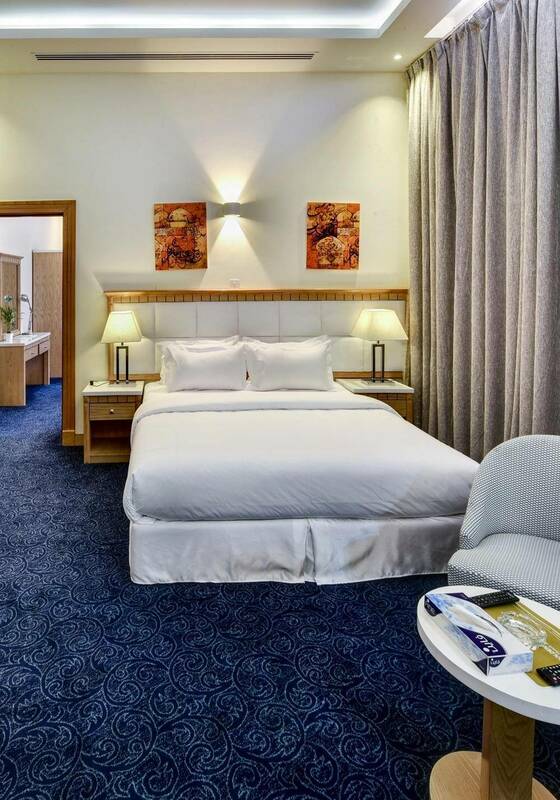 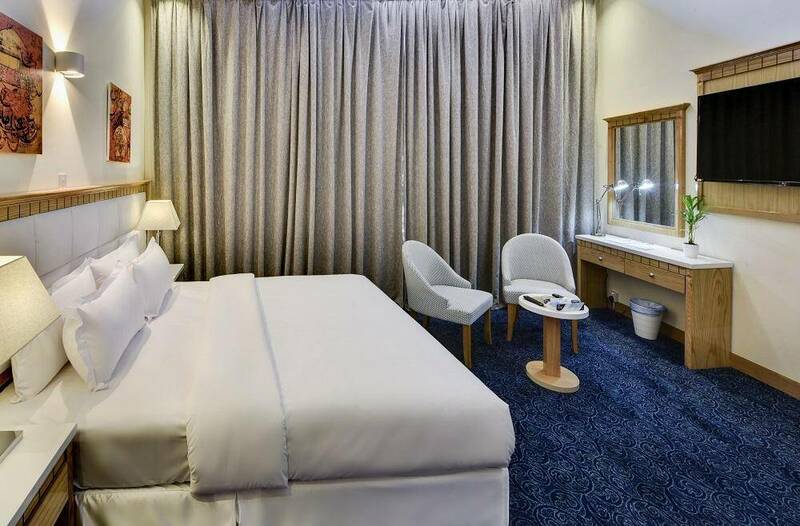 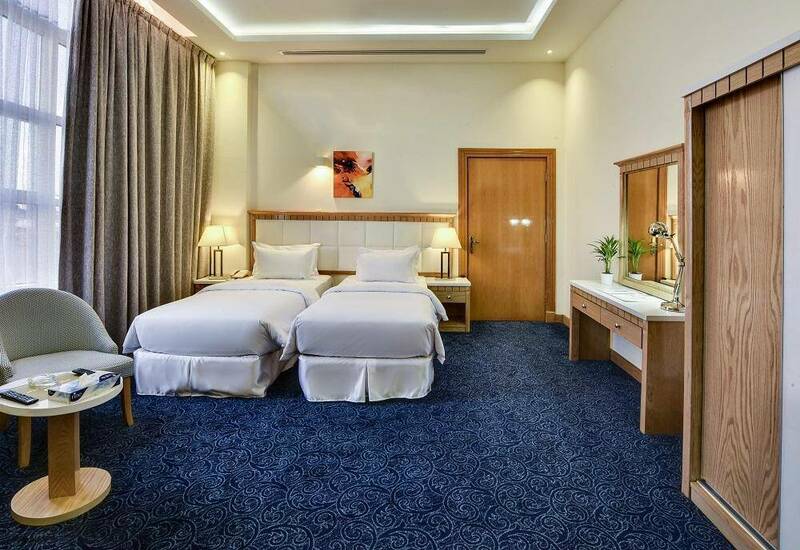 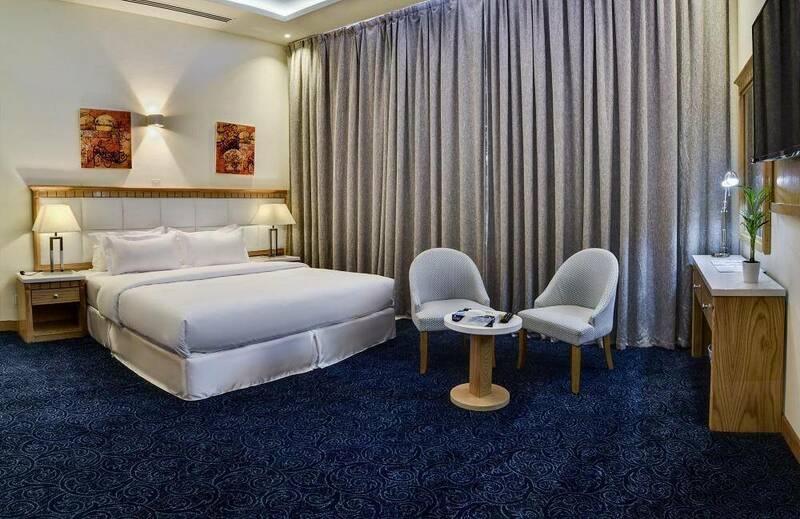 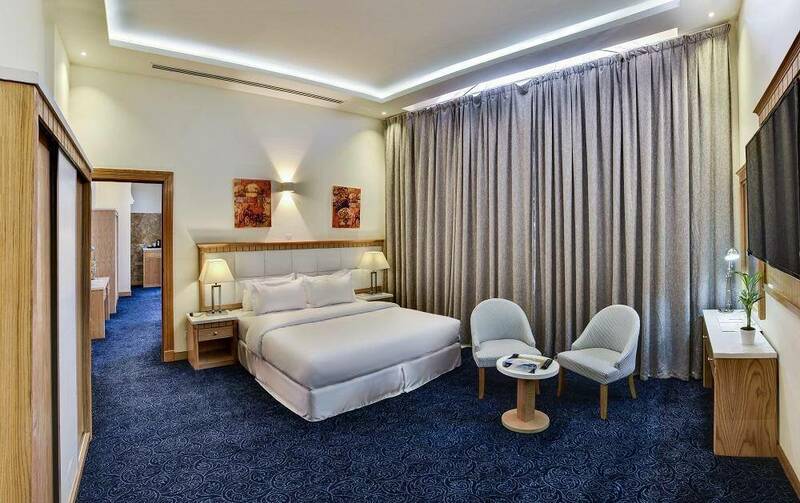 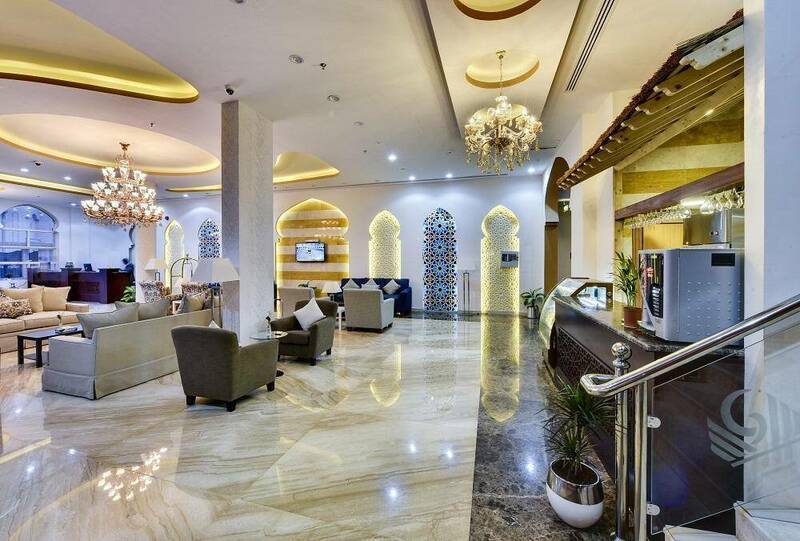 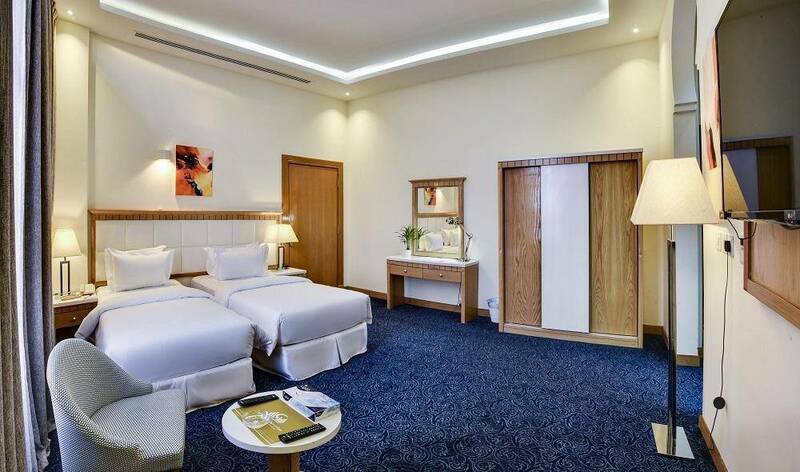 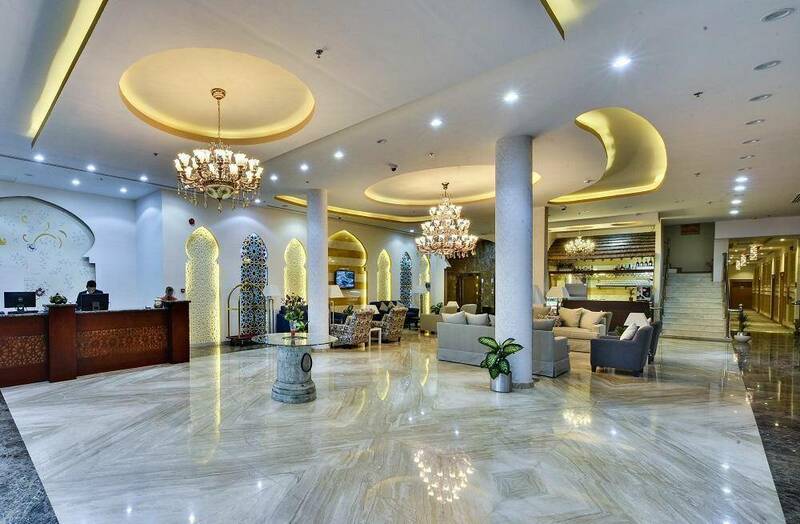 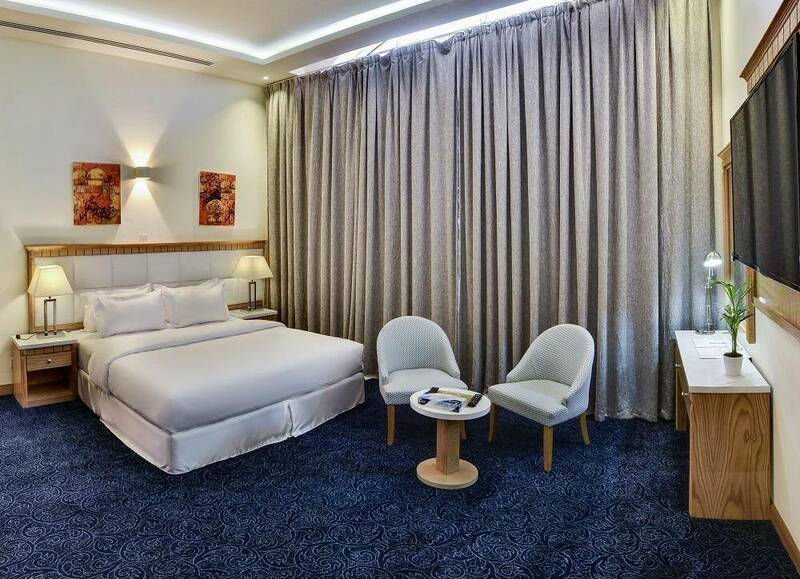 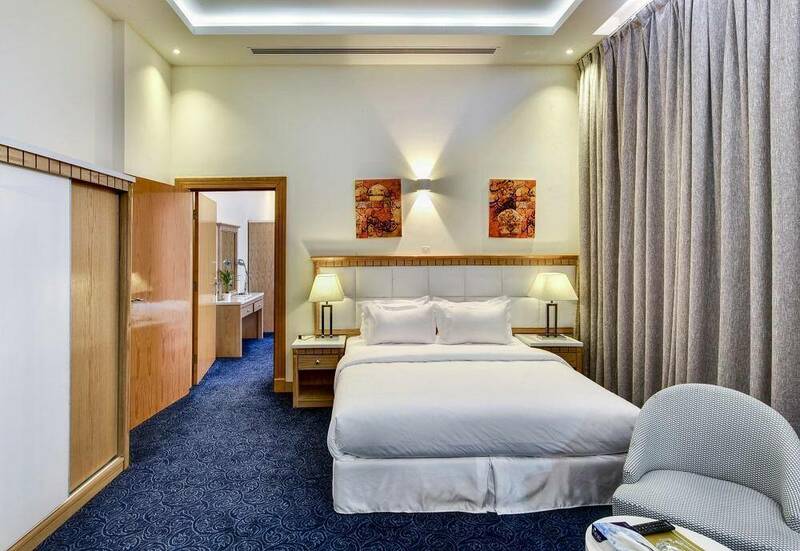 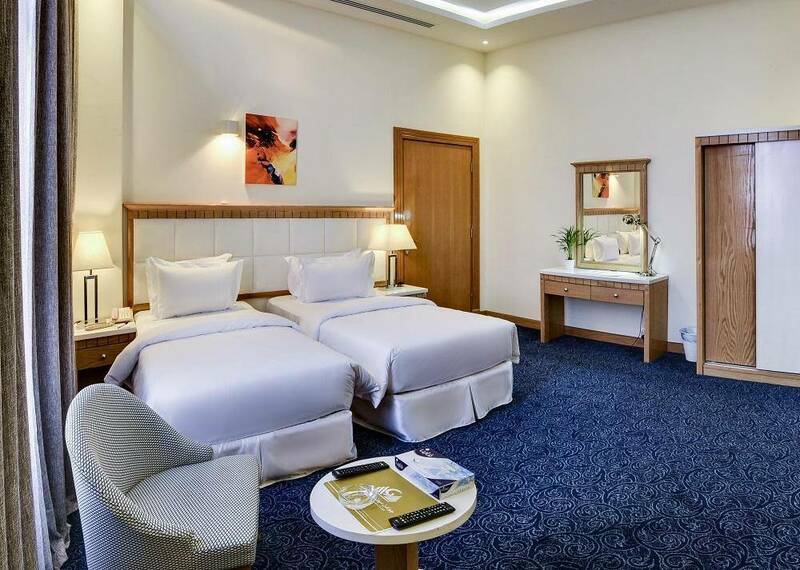 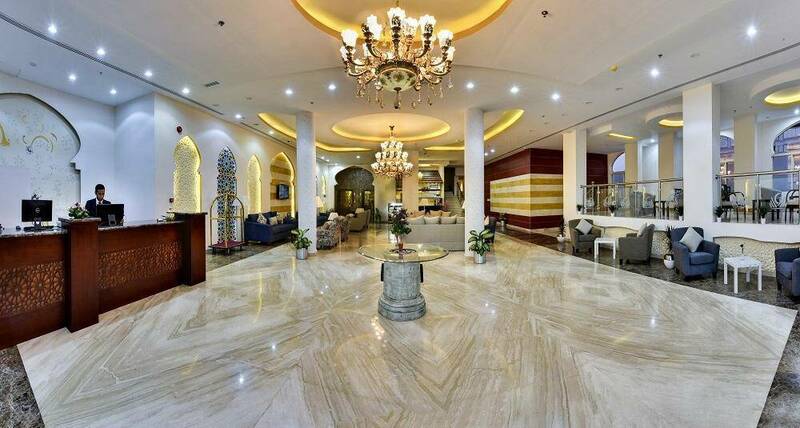 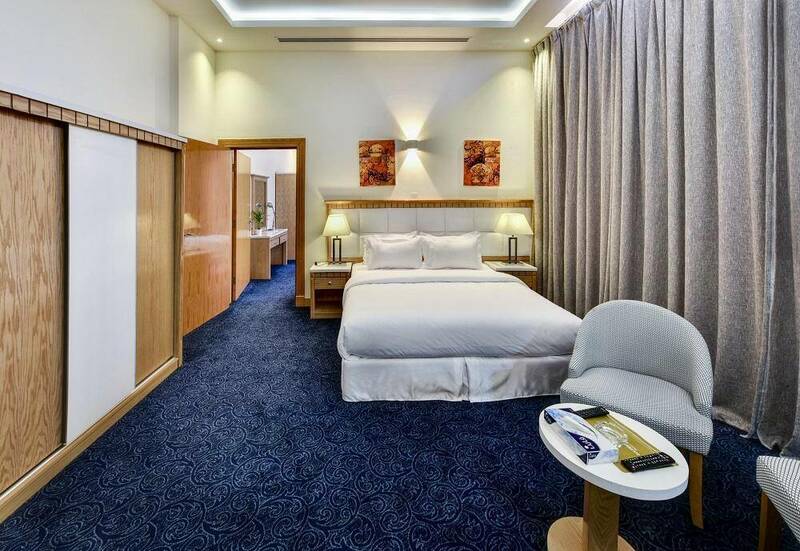 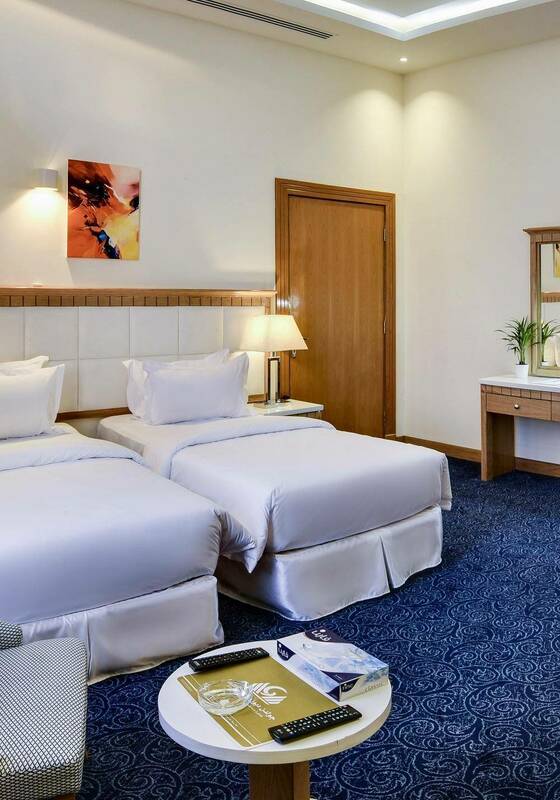 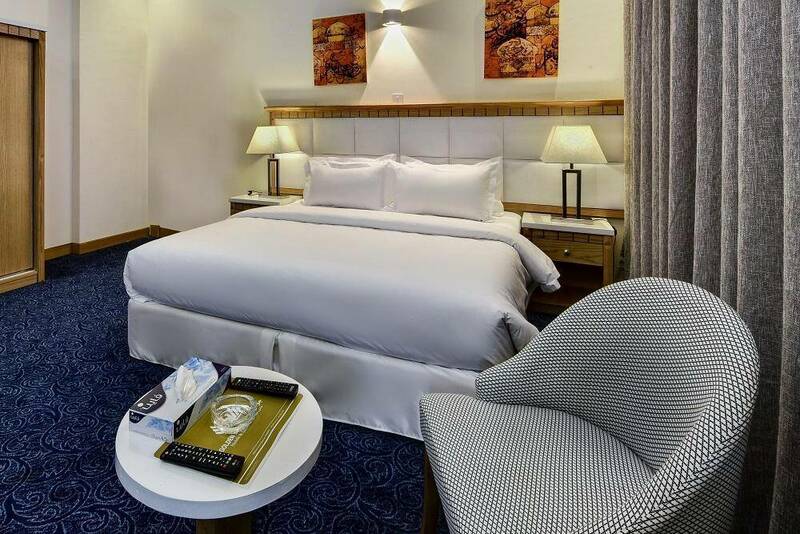 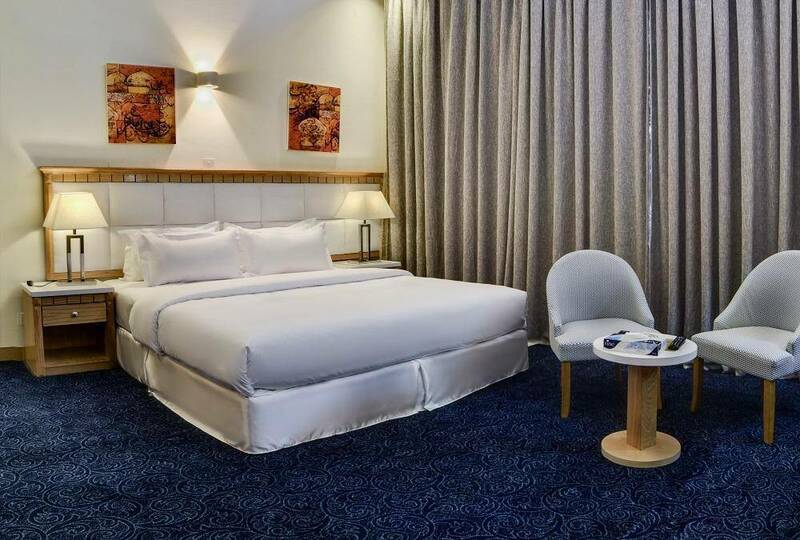 Golden Dune Hotel &amp; Suites - Riyadh Al Fayha includes onsite restaurant, Golden Buffet that open for breakfast, and offers Middle Eastern, and International delicious cuisines to enjoy a wonderful food experience. 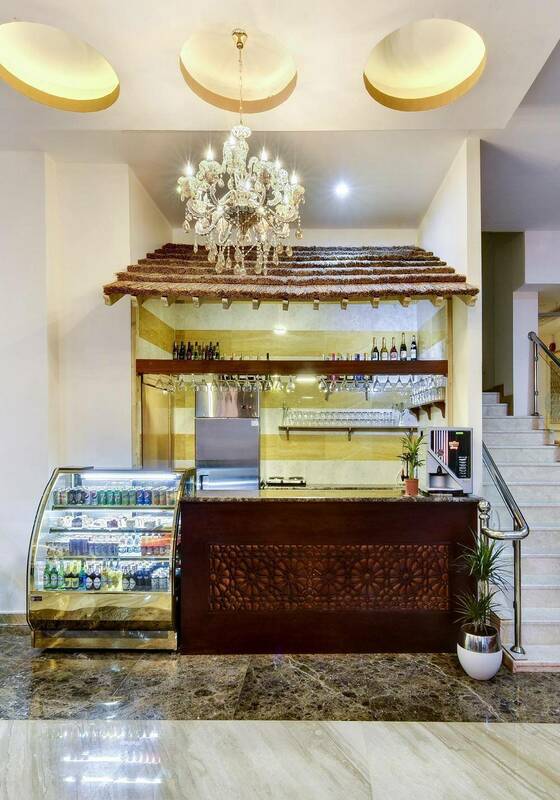 There is also a Snack Bar that offers snacks and light meals. 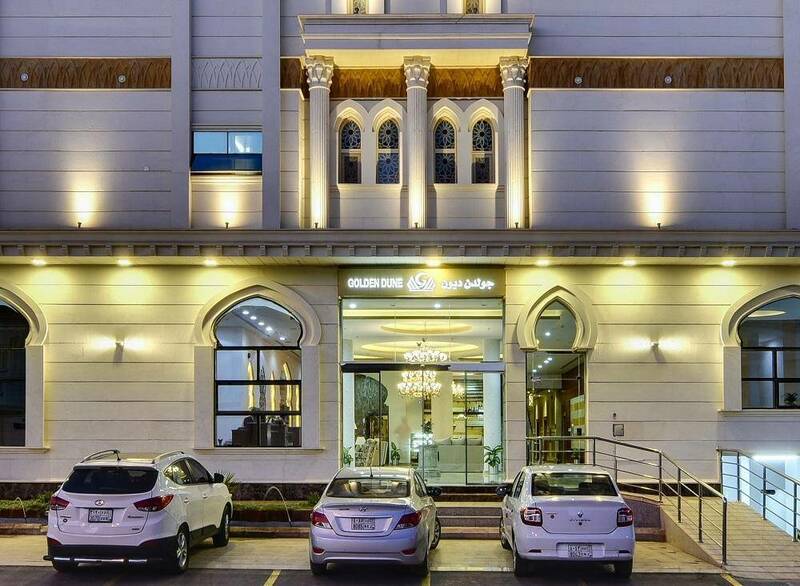 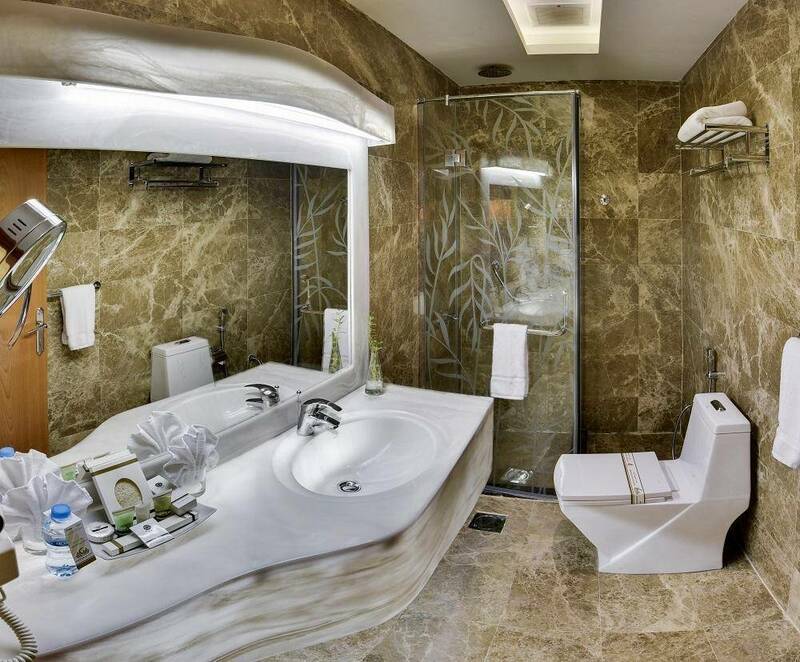 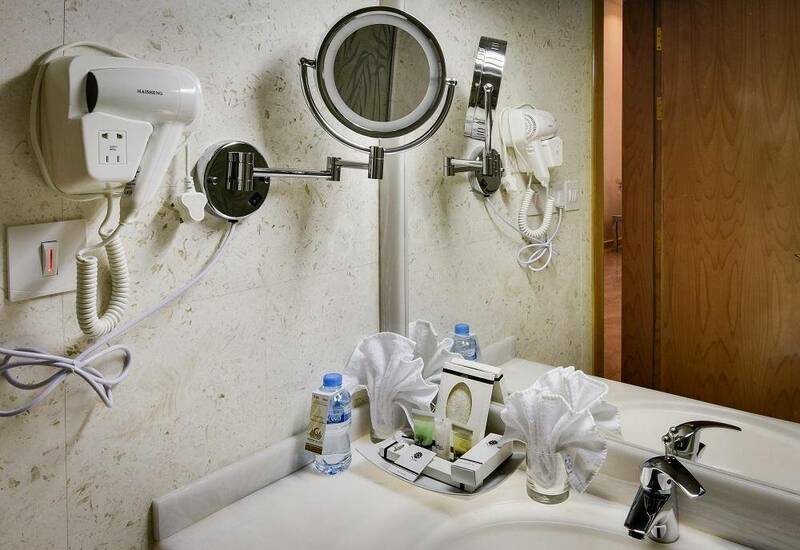 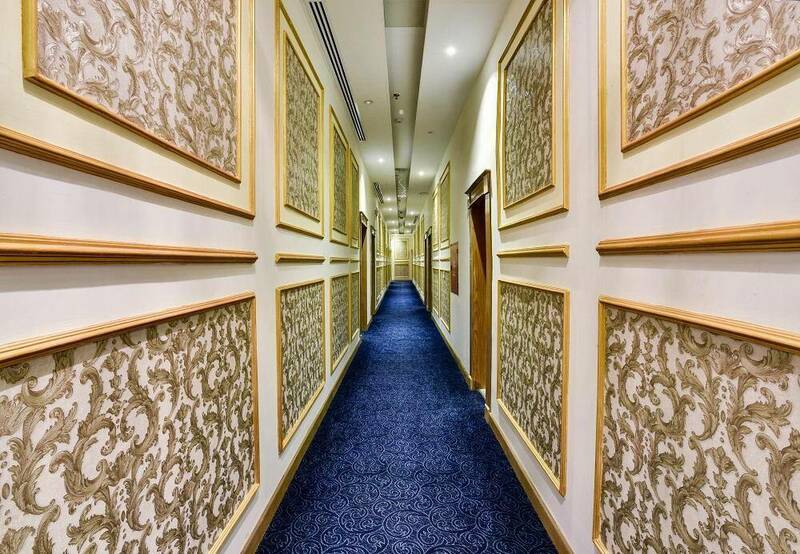 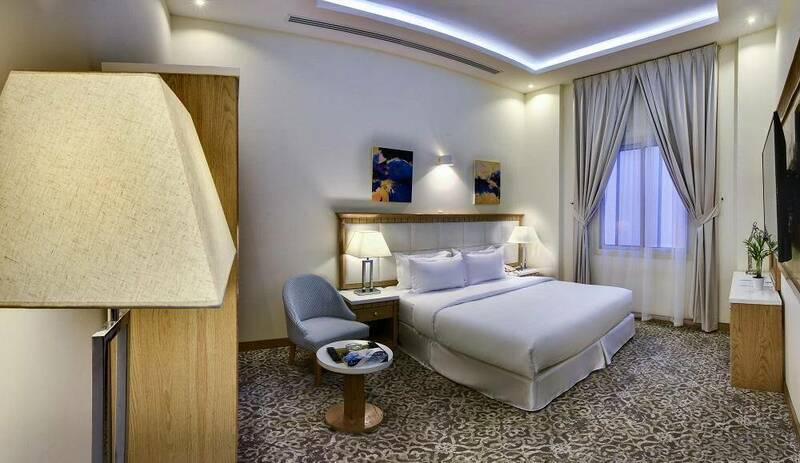 Golden Dune Hotel &amp; Suites - Riyadh Al Fayha includes fitness center to spend an elegant time. 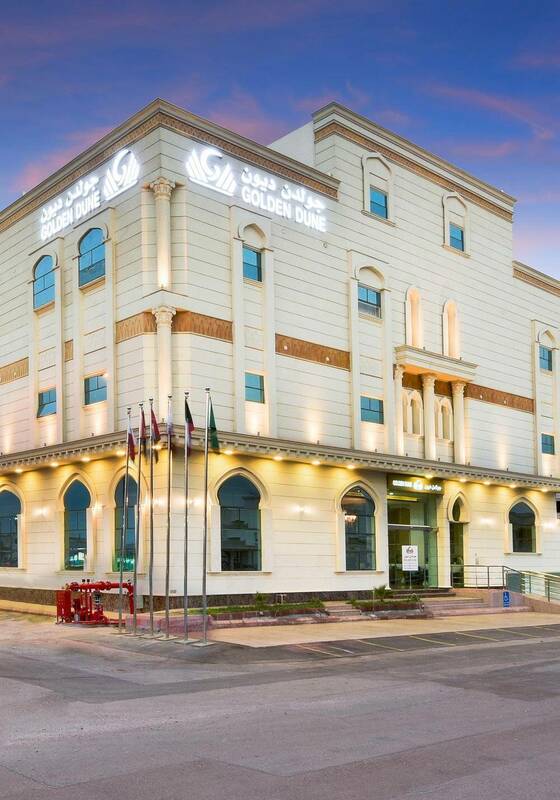 Golden Dune Hotel &amp; Suites - Riyadh Al Fayha includes fully equipped meeting rooms to hold an elegant meeting or conference.